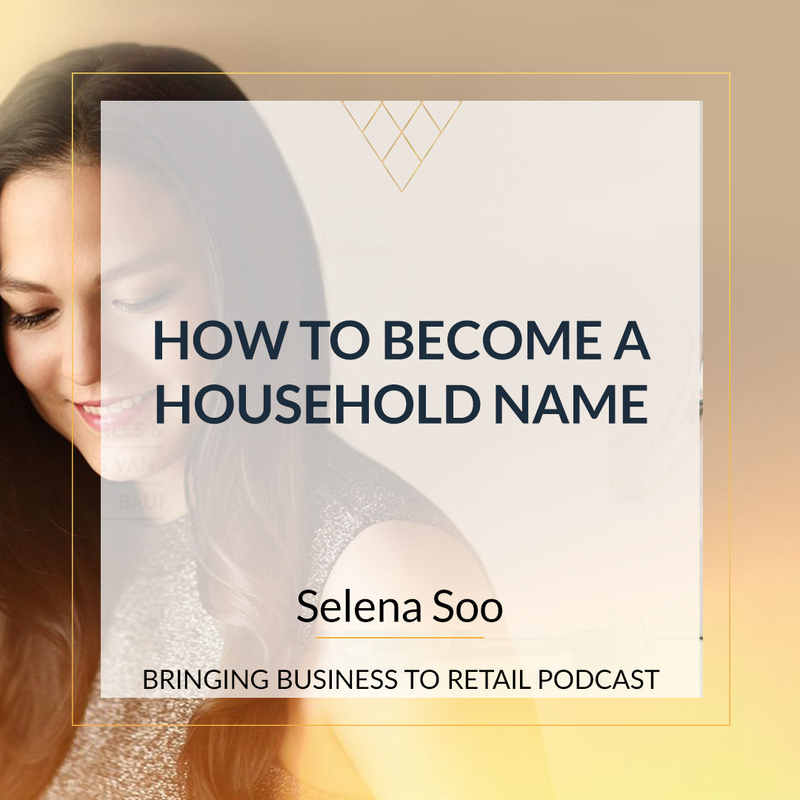 “Dream as if you could live forever - Live as if you only have today"
Salena: Hi there and welcome to this week's episode of the bringing business to retail podcast. Now I don't know about you but personally, I always struggle when it comes to shipping big items. I know so many of my clients have issues with things just as simple as decent sized light fixtures because the general points system or general queries can't actually guarantee that they're going to get there in one piece or even take them in the first place. I know here in Australia, Australia Post won't do anything more than a meter. So that's your three feet. So if you've got a really tall lampshade that doesn't come down into pieces you're kind of screwed when it comes to getting it to your customer. 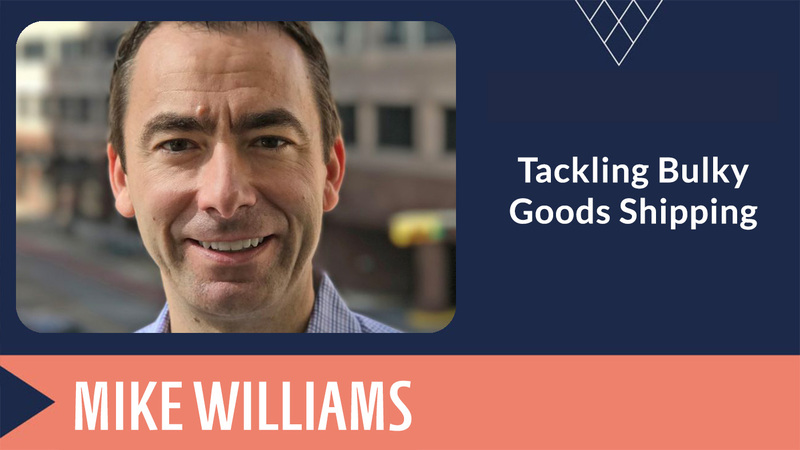 So I brought along Mike Williams from you ship to talk about how we can get those big pieces of inventory to our customers in a really quick way and in a way that they're going to arrive safely. So welcome to the show Mike. Mike: Thanks Salena, great to be here. And you know one thing I would just add from the start is you're not alone. We actually just completed some third-party research and one of our data points that came back confirms that 26 percent of shoppers say it's more stressful to buy an oversized gift than a parcel sized gift. Salena: That's not even the retailers, that's the shoppers. Mike: Right. That's the end consumers you were more stressed out about buying something that's big and bulky because it doesn't have that certainty of the of the in the US, the post office, the post in Australia. Salena: Yes. And it was one of the reasons why we used to have in my store a product that is like a bulk pack and it came in quite a big box and the only way we could send it was with one particular Courier which luckily was quite affordable. But I know especially in things like home wares, you have a big table or you have a lounge suite and if you're not a department store or a furniture China you don't have your own logistics with a transport company, getting that out is just, it's almost impossible but you know that there are good margins on these products. So you're kind of stuck with only being able to sell it if you're in a retail store to someone who's local who can come in with a pickup truck and take it themselves. Mike: Yes and I think what retailers want today and consumers want, retailers want to access consumers everywhere and consumers want to be able access merchandise that is not just in there their local radius but rather it can be anywhere nationally or internationally. And yet we can talk a little bit about some of those examples that we're helping enable. Salena: Well why don't we get, why don't we jump into those. Because I know that maybe we can start before we can go into the logistics pot even just like prepping. So how would you suggest, because obviously let's go with a really big light shade because it's quite light. So you know you're not going on weight because then we get into things like cubic volume and it comes in a box. Is the box that it comes in just enough to be shipping it with? Mike: Well I think that's where you know what we really rely on. So a little bit of background on you ship. So we're here in Austin Texas, we're a little more than 200 employees here in Austin and we've been at this for 14 years. We're a technology marketplace that makes it possible for people that need to ship things to connect with carriers that have space available in their trucks. We are a little bit of the air B and B of legit. Air B and B is to travel and tourism is what we are to logistics. Salena: Here in Australia we call that an aggregator. Salena: Now people have heard that term in Australia, you have like a logistics aggregator and they will go out to the courier companies and the transport companies and they kind of help you do it. It sounds very much what you're doing. Mike: Well we actually enable folks to be a little bit more self-service and very much digital technology first. So the business it has something they need to ship, they can list on you ship. A carrier can grab that on your ship confirm it. Goods are picked up goods are delivered. Nobody has to do any phone calls. You ship sits in the middle we can provide service if there's any type of exceptions but we're really trying to make enable a very seamless efficient process and that's where we specifically have been helping e-commerce retailers with large and bulky items. We give them the ability to have a fixed price in checkout for a consumer and then that's a fixed offer price out to these transporters and it's a network of transporters that are all feedback rated and they can grab that listing and they will back their truck up to the origin wherever the item is and then deliver it to the destination into the customer's home into the room of choice. Salena: That is awesome. Congratulations. I didn't realize you went to that extent I thought you just did the matching but it's so much more than that. So that is just I know it's a bit of a mind-blowing thing for me because I don't know that we have anyone in Australia who does that. So automatically I'm just thinking for my American clients that we need to talk. Mike: So the question about you know how do you prep the item? What's unique about our system is that every shipment is feedback rated. So a transporter from the minute they sign up to be the person that's going to pick up an item and deliver it to a customer. They have all the motivation in the world to deliver world-class service at the front end. So making sure that if it's in a box is that suitable for packaging or does it need extra blanket wrap. How does it need to be tied down in a truck. What type of ratchet straps or whatever will they have. And then when they get to the destination making sure that they are you know they're going to want to put booties on their feet if it's an in-home delivery they're going to wear gloves and make sure they have a professional appearance. Because again similar to that Air B and B example ratings and reviews are critical and so these transporters want to deliver great service, they want to get five-star ratings from the customers on both sides of that. Salena: And it's just to me I'm just sitting here thinking because I've had family in the logistics, my best friend's dad was in the logistics companies and no family close enough to family and I know that filling the truck you know the backload was always the most difficult part for them and yeah it has to be cost effective to run a business both ways not just to the delivery but you also have to get back to your depot. So you're helping people to make money but you're helping people to make money on lots of different ways one you're helping the e-commerce supplier but you're also hoping that transport company because a lot of those transport companies they're individual contractors or franchisees. So we're talking the little guy quite often even though they're part of a bigger organization. Mike: Yeah you're right as that transporter you want to keep your truck full as much of the time as possible and that is where you ship marketplace comes into play. So we actually have a new listing on our site every 20 seconds and there are between 16 and 18 thousand shipments in process at any one time. And if you look we're probably moving goods in about 50 different countries today. We are international in scope. Yes. Yep Predominantly we're North America predominantly US but there's a really neat tab on the Youship website called Iron shipments and you can go and you can type in Australia and it'll show you a map of what's being moved in Australia. And you know I hadn't pulled that up yet today. Salena: That's awesome. That's awesome. So tell me then what are some of the challenges that we face as independent retailers when it comes like; besides the obvious thing of, now you're giving us a service so that the logistics part has now been conquered and we've talked about the fact that the actual transport company will help to make sure that the delivery gets there. But I'm gonna ask you what the challenges are for independent retailers and I mean that more against the big companies. Mike: Yeah. So I really like that question a lot and we feel a lot of passion here within our four walls about we are looking to empower the independent retailers with the type of tools so they can stay competitive with the much larger big box maybe name brand household name retailers. And logistics is one of those areas that can be very challenging and it can be very expensive. And so there's a couple things that we help retailers do. One of those is understand the price of what it costs to ship an item from a to b. A lot of times what a customer doesn't want to see in checkout is that they don't know how much it's going to cost or they're going to have to figure it out off platform. Salena: They got really through an abandoned cut if that's how much it's going to cost to get it. Mike: Exactly. That's an express lane to an abandoned car. The next challenge is going to be the timeframe. And so if this is an item; so I imagine it's a vintage dining room table. So some other research we have is that millennial today who are driving a lot of e-commerce trends in buying large and bulky. They actually prefer vintage furniture a two to one over new furniture. But now you increase the challenges of shipping that item because it can be a dining room set that needs a lot of packing material it doesn't show up in a nice box that's cleanly wrapped. And so your options are oftentimes sadly would be calling up a moving company. Mike: So that dining room set is at an antique store in Brooklyn and it needs to get to Chicago. If you were to call up a moving company, one of the best thing that would happen is they'd send a team out there to get that dining room set and they'd move it to Jersey City where it would then sit in a warehouse until they could fill a full truck 53 foot truck going to the Midwest. Eight weeks later the customer in Chicago gets her diner set. So the retailers; that's again one of the reasons we exist is we make it possible for those e-commerce merchants to connect with transporters who are ready and willing to back their truck up. It could be a sprint or van. It could be a 15 foot box truck. They will load it in a very professional manner and they're going to drive straight to Chicago. Maybe they'll pick up one or two items along the way. Per your example. So they're you know taking advantage of empty space. But the point there is making sure there's a good timeframe for the customer. So again as a retailer make sure you understand that price up front to work to deliver on timeframes that we as consumers have now learned to learn to expect. Mike: The third one is really good tracking of that item. You know there again you know we as consumers if we're not going to get it in two days we know that we're going to be able to probably track its path. And that's been a real challenge on large and bulky. I think a lot of in consumers retailers you know once a big item is picked up it just goes into the black hole of interstate transportation. So that's where technology can help. So we are able to provide the e-commerce merchant with a link that they can share with their customer and the majority of cases many cases they can track that package via the G.P.S. in the drivers phone. And so that now as a consumer you know what it's going to cost, you like the time frame and you can track it so that you know your expectations are appropriate. Does that make sense? Salena: It does it does and I was actually going to ask you about timeframe. That was my next question. You already addressed it. The expectation that comes with even next day in prime, amazon prime next day delivery. Here in Australia we have some fashion stores that do same day delivery. If you're in a capital city which is just it's kind of mind blowing that we live in a society where someone will drive from one side of the city to the other to deliver your latest pair of pants so you can wear them that night. But this is what technology is giving us and that's what we're coming to expect and I think as independent businesses we can often get caught out there because like you said with the moving truck example, you know, once it leaves it's no longer under your control and you'll know you're at the mercy of everybody else but you know the one who has to take responsibility. Because the contract the customer has is with you not with the transport company. So it's really good to hear that once it gets on the track you can then continue to track it. And right now as a customer I'm okay with the non-instant gratification I kind of like seeing where my parcel is, because then it builds up the excitement and if you can see that it's coming across the country and it's due for arrival today we just added; for me it's the thing that it's the experience of having that you know that you get the rush for a bit longer. You get the rush when you buy the thing and then it's getting closer and it's getting closer and then it actually turns up. So yeah it's great. Mike: It's similar to the air B and B experience in that you've read the ratings and the reviews but it's that moment you walk into the property and you find that the owner has left you a three-ring binder that if you need to order a pizza late at night you can just turn to page two and you have it. It's that delivering on customer expectations by providing information. And again it does go back to I think that the ratings and reviews. So and you were talking about getting same day delivery for retail that's fine. That's a great service. The transporters on you ship platform though we do contrast with those. Those are folks that come in and out of the workforce you know if I decide this weekend that I'm comfortable driving around I could join up with one of those flexible types same day delivery services and I can fill my truck. But the transporters that are delivering large and bulky for e-commerce retailers this is what they do. They've made this their craft in life. Salena: Okay, so talk to us about pricing because it's all well and good to hear about this stuff. And we talk about pricing but then and pricing is you know how long is a piece of string. But it's really I don't know. It's one of those things where you get so excited when you hear about a new product and I see this happen at trade shows not to do with logistics but you hear about these tracking, these across platform tracking and then someone says at seven thousand dollars a month. And you're right, this does not in my price range. So how do you guys compare it, like isn't actually an affordable option or is it more for the biggest more businesses? Mike: OK well I'm glad you asked that question. I would say we are again we really want to make it possible for those independent retailers. And so if you're just getting out of your garage even when you're an artisan of some type of furniture item we're a fine option for you. You're shipping once a month or five times a year. It's a fine option and it's going to be affordable because you're tapping into this network of transporters that have capacity available from a transaction model for e-commerce merchants. What they're able to do is control their costs based on we provide the fixed pricing algorithm for what it's going to cost to move an item from A to B. E-commerce merchants have the ability by the way to either mark that up to a consumer, pass the cost on or subsidize it. But what we have found in our studies is that our network is able to move items from A to B and more economically than other means and especially for that smaller retailer who isn't big enough to negotiate really good rates with the big trucking firms. So we're matching these retailers as they're growing with high-quality entrepreneurs and owner-operators that they don't have to do long term contracts. They don't have to do minimum to get a great rate. And so in our business model is a transaction fee. So you ship is similar to really Air B and B it's every stay there's a transaction fee coming to us. So as that retailer starts to ship 100 times a month, a thousand times a month, you know we might talk to them and work with them about maybe there's a custom fee structure that makes sense. But certainly we're very transparent about what that fee is in order to connect with this transporter. And what we've been able to demonstrate and have been you know what's been validated is that the transport costs are better than what you can get otherwise. And you certainly can't buy a truck yourself or you can hire a driver. So there's no such thing as free shipping. Nobody is going to pay but what you what you can fight for as a retailer to really understand what are you paying for, you know what these are going to that transporter and is that a fair wage? What are the transaction fees in order to be able to access it? And then does it make sense with the business? Salena: Ok. So we talked about things like fixed price and the algorithm. How do you actually connect you ship with your own individual website said that number doesn't have to manually be entered? Mike: So help me understand that question again. Salena: So I'm on a website and I say an eight foot by eight-foot piece of artwork and I press buy and I need to get it to the other side of the country. How does the pricing get generated to the end customer? Mike: Yep exactly. So what happens is when you enter in you're in the US it's entering your zip code then you meet it immediately. Because we integrate with that e-commerce merchant through an API. Salena: Ok. That was my question is how do you get pricing service. Mike: Yep. And so we immediately send a price back to that retailer and they usually have a little bit of logic. Hey, for this item let's mark it up. Let's pass it through. Let's subsidize that whatever that might be you the consumer see that price in real time. So then you when you swipe your credit card that's when it then goes out to the transporter and then you receive the information via email. This is who this is your delivery time frame. This is how you can track that item. Salena: Ok. So as the retailer, not the consumer when I'm now putting in my 8 foot by 8 foot piece of artwork do I have to put some sort of specking to make. Because obviously, you need to be able to generate a price so you need to know the weight or the volume. How does that? Is it just you take that information from the e-commerce providers and systems like Shopify you would enter those details in or do they have to come into you ship and put those in? Mike: We pulled that information in. So when we work with a retailer on the front end we pull in those basic dimensions but because we do have 14 years of data we can, we're really good about how to price it. And typically we don't need it to the centimeter but the general dimensions of what an item is. And we're able to provide that plug that in for our algorithm to work in real time. Salena: All right. OK. I think that's pretty awesome because I mean when these one goes live we will have just had Christmas. So I feel like we should have got you on a little bit earlier so we could have capitalized on Christmas but it is never too late to actually start looking. Let's go with it's a new year and you're going to get new inventory and now you actually have the option to be bringing in stuff that you maybe didn't think that you could have before because it was too big or you couldn't work out how to get it. Do you have any like, I guess maybe your top three tips for retailers, for independent retailers when it comes to your big item logistics? Mike: Yes. So tip number one is to consider, is your consumer gonna be okay with receiving an item at the end of their driveway at the curb. Or does your consumer want to have it delivered inside the home. Salena: Oh yeah that's important. Mike: So retailers today they do have an option to access what's called LTL less than truckload shipping. And that could be a great service but they're going to typically drop an item off at the end of your driveway. What we're able to do typically for that same price or maybe even a little bit less is the transporter you access your you ship will bring that item to your front door, set it up in your room of choice, remove all the packing material and that's first thing first. What do you want that experience to be upon receipt? 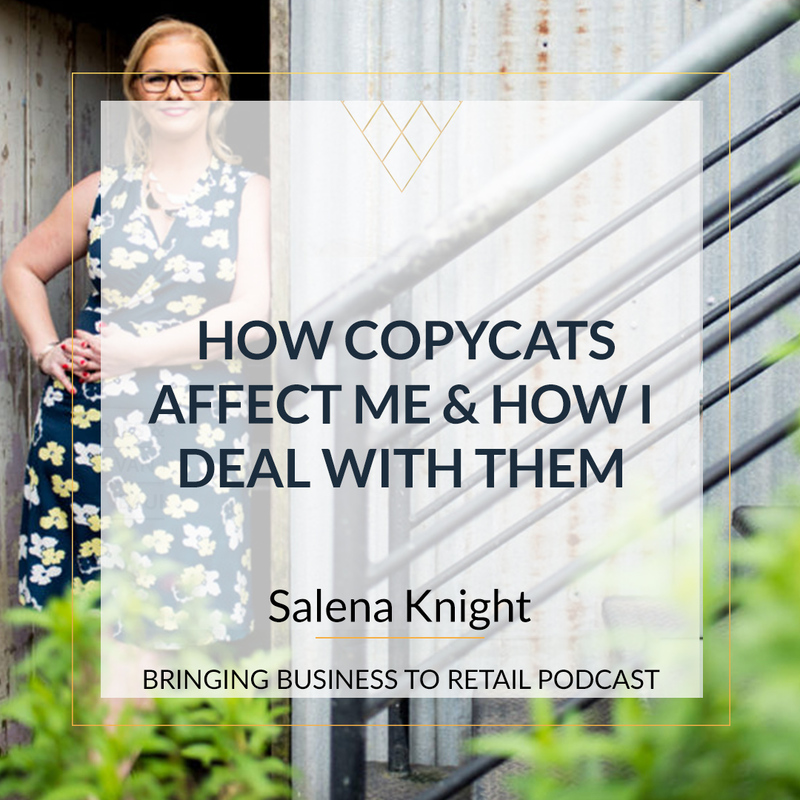 Salena: I have to say that is to me super important because as a brand that is one of the things that scares me even just about general postage is that you have no control once it leaves the store and you don't know what it's going to end up like, is it going to be smooshed and stood on and stuck out in the; I had a parcel the other day left out in the rain. You have no control over that by having this option means that the customer experience of delivering it to door. It probably means you can actually charge a little bit more as long as you actually let the customers know that this is the level of service they are going to be getting. Mike: Yeah well I'll share an example with you about eight weeks ago my CTO chief technology officer and myself we rented a15 foot box truck. We left Austin at 7 a.m. on a Monday morning. We drove to Houston did some pickups to Dallas ultimately up to Kansas City and over to Columbia Missouri before coming back down. And in one instance we picked up an antique dresser that had a mirror and we picked it up. The mirror had been detached from the dresser so we blanket wrapped it, we ratchet strapped it in our truck and then we remembered to ask the seller. Oh hey where are the screws for this mirror. And they said oh they're in the drawer Don't worry about it. Now keep in mind we've already wrapped everything up. And so my colleague and I we believed them, we're like OK they must be there. But the night before thankfully, the night before we were going to deliver that dresser. We just thought you know let's double check. So we unwrapped it opened the door and sure enough, there were no screws. So here's the difference in the experience. If we worked for maybe a name brand trucking company and we had some supervisor at some home office somewhere, we know they'd be mad at us if we dropped this off without screws but you know what are they, are they going to fire us? Probably not. And you know what. We probably, that worker may just go drop off that dresser and window and there's no screws. Instead because we know we're gonna get raided by the customer on this shipment. Before we had dinner that night we went to a hardware store and we bought a box of screws and so that when we delivered it that morning we were able to offer up hey you know we can we can attach your mirror. In this case the buyer didn't know where they were going to put it. They didn't want to attach the mirror but we had the screws there for them and we got a five-star rating. That's the kind of service as well as the retailer. You want to make sure there's some kind of incentive for that experience because you know it is maybe the customer's only time interacting with a human because they've been online, they've been looking at merchandise and they've done everything electronically. But this is a point where that retailer's brand is dependent on the experience and that's where we really feel like the way these transporters are rated really drives value. Salena: Yeah. So how often do you do that? How often do you get out there and actually put the customer experience to the test? Mike: That was the first time we'd been out on the road to do pickups and 10 deliveries and you know it made us certainly appreciate the plight of the transporter what they deal with. It made us appreciate how grateful customers are with really good communication, text messaging primarily text messaging is preferred over phone calls. But we found that consumers were very flexible with us as long as we communicated if they needed to stay home a little later in the morning for an 8 to 9 a.m. delivery that was fine or 12 to 1 they could do a long lunch. But that was the first time we had done it. And what we're thinking about doing is actually getting a truck here at you ship and then certainly for any new executive that joins. Putting them out on the road for three days we were doing it also to test the technology because we're all, we're mobile first. And so we wanted to make sure could we do everything on the mobile device. And it was interesting even for me my first day I was kind of on my laptop a little bit and then by day two and day three we were 100 percent on our mobile device. And we want to make sure that we if we had any gaps we were surfacing that. Salena: That's great. So before we finish up any more tips I think the biggest one is the customer experience like to me that's number one. Mike: Yeah. 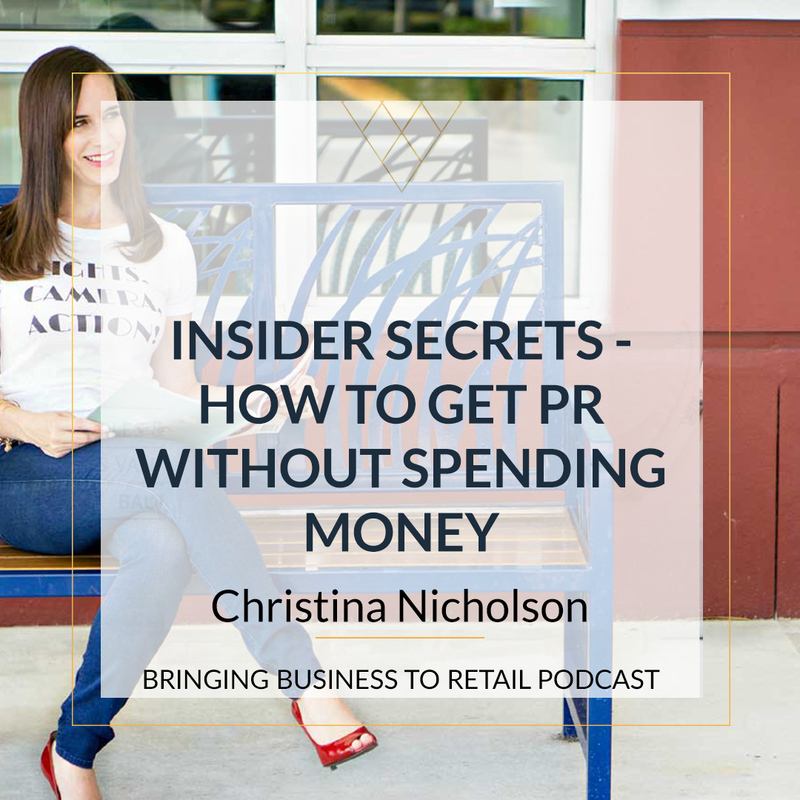 Tips for retailers. Think about that customer's experience which also includes again your time frames we talked about how to be able to track the item I think those are gonna be the most important. Salena: Yeah. And you just made me think then we have a company in Australia called Appliances Online. And I love being the person who discovered them. Yeah we were using them when they were brand new and sort of 10 years ago. And they do the exact same thing you order it and then you go to a calendar and you pick the day and the timeframe that you want someone to turn up and then they text message you. You can even pay at the door. They've got a portable swipe card machine. They deliver it. They'll unhook a dishwasher and hook it out. They take the old one away. They take the packaging away and anytime anybody wants an appliance. I'm like you just have to go there and they're actually the same price as everybody else. Which is even better. So the customer experience for me. We have 57 stairs to our front door. I always say you take a little bit extra for the fact that you had to come up the stairs and they always say no. So part of the service it's all part of the service. Salena: So that to me is the level of customer experience that I love to have. And it sounds like that is exactly what you guys out there giving independent retailers the opportunity to give to their customers. Thank you so much for your service. Because I didn't know that it existed. And if people just sitting here going I need that where can they find you more about the product. Mike: So there's a lot of resources at youship.com, usaip.com Lots of informational resources for retailers, for transporters as well. Everyone in between and certainly they can fill out a form and we can reach out to folks directly to help walk them through this. Mike: And even I think I saw on there that you had a like a holiday shopping guide. Mike: Yeah we just completed a survey and what we found is that customers tend to get quite stressed out during the holidays with their shipping. You know a couple of data points that jumped out at me is consumers they graded last year's holiday shopping experience a B but 48 percent of consumers graded it a B. But when you isolate on Millennial and Generation Z those consumers 20 percent of them graded it a C.. So millennial have higher expectations and that is, that those are the buyers of the future and particularly we talked about the audience as important. That really does love vintage furniture and you certainly don't want to be the gift giver that when it's that morning to be able to benefit from the present. You don't want to have to print out something from your computer that says this is what was supposed to arrive. There are no points for that. Salena: That happened to me with my husband two weeks ago with his birthday and I ordered him a book six weeks ago and it didn't turn up so I had to present a picture of the book. Salena: It is. Well thank you so much for sharing this with me. I feel really empowered for my own clients that we now have a solution because it's one of the things that we do talk about quite a lot is how do we get those things like artwork and chairs and lampshades always comes up lampshades to our customers when we don't have those contracts with logistics companies. So thank you for that. For the app but also and the program but also thank you just for coming on the show and sharing it with us. Mike: Well you're welcome. Thank you for all you're doing and again I think our interests are quite aligned because you know I don't want to wake up five years from now and only be able to buy a sofa from Amazon. It's really important to me that independent retailers are able to have tools that let them compete on a level playing field. I know you provide a lot of great content and advice on that area and to the extent we can be supportive. We're glad to be here. Salena: Thank you. And thanks so much for being on the show. Guys. If you're in the US and maybe in some other places around the world. Head over to Youship and check out and see how they can help you. uShip is online shipping, transport and freight marketplace that enables individuals to enterprises, and any business with freight, to price-search, book and ship anything they want tomove—locally or globally. From cars to cranes, freight to furniture, and beyond, uShip’s platform enables 800,000 feedback-rated service providers to compete for business. Headquartered in Austin, Texas, uShip operates globally in 19 countries.